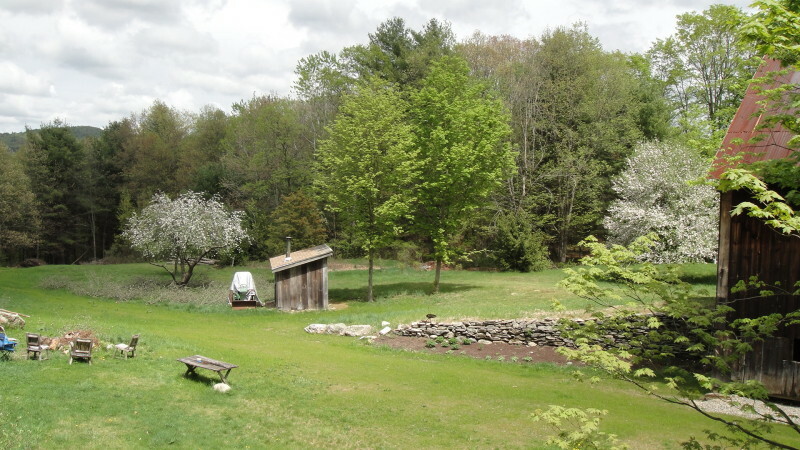 Tree Toad Farm is a beautiful old 113 acre New England farmstead nestled in the hills of North Leverett MA. Quiet and secluded, yet only 12 miles from Amherst, this has been my home for 30 years. For decades, people have been drawn to and nourished by Tree Toad Farm’s land, nature and sense of community. Perfect for parties and bonfires, ceremonies and rites of passage, gatherings or team retreats, your sense of relaxation starts as soon as you pull into the driveway. With our private forest bordered by almost 1000 acres of protected conservation land, Tree Toad Farm really feels like a deep woods sanctuary. Quiet countryside, rolling hills filled with mature forests of evergreen, oak and ancient sugar maple. Ample trails, gardens and Nature in abundance—all these give Tree Toad Farm the natural, easy vibe of a genuine refuge. Come for a soul-cleansing country retreat for as long as serves you: days, weeks, or overnight. Enjoy some time out of time, and find your own place with us in the daily rhythms of rural life. (Farm chores optional. But c’mon: when was the last time you stacked a cord of wood?) Come on retreat to focus on that manuscript or project—or maybe, just come to relax and enjoy some deep, rejuvenating rest. Fine print: Fresh organic garden kale and sauna included, in season.